It’s official: Belgrade’s collection of historical construction sites is the most impressive in the world. New data shows that the Serbian capital is currently “renovating” every single one of its historical sites, and has been doing so for as long as anyone can remember. 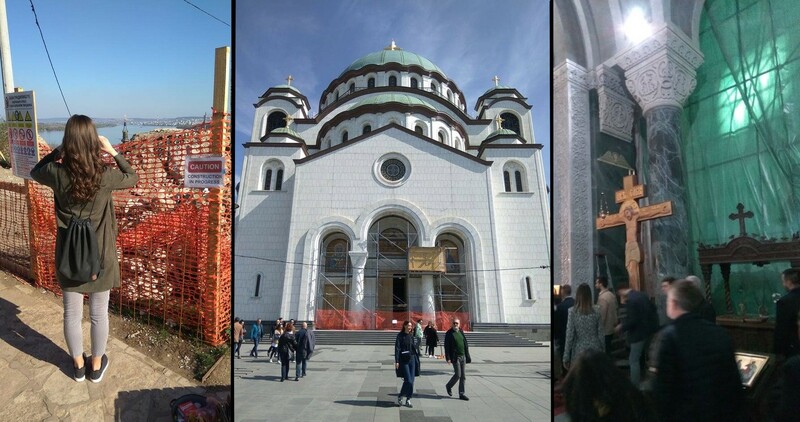 Tourists have begun to notice, visiting Belgrade in increasing numbers to photograph the city’s wealth of immaculate scaffolding, orange security tape, and temporary fencing. When you visit one of our historical construction sites, you can guarantee not a single hammer has been lifted for at least 15 years. Among Belgrade’s multitude of historical construction sites, Saint Sava Temple stands head and shoulders above the rest. The country’s largest orthodox church has been a work in progress since 1895, with construction beginning in 1935. Against the backdrop of a historically important green plastic sheet, The Tragic Traveller interviewed an 81-year-old grandfather visiting the church with his grandchildren. At publication time, every single construction worker in the city had just popped off to take their state-mandated 9 am shot of rakija.